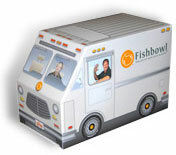 Fishbowl Manufacturing includes additional features for the Inventory program that benefit manufacturers, including special Work Order capabilities. Simply specify the part to be manufactured, enter the desired quantity and the required fulfillment date and Fishbowl will pull the required components out of inventory based on the previously defined Bill of Materials. The Work Order module includes a printable pick list of the required items, a BOM to which additional items may be added, and a date on which the WO needs to be completed. Work Orders may include labor, non-inventory items, inventory items or overhead. The Work Orders module also allows for Work-in-Process (WIP) tracking.